James R. Lackner received his undergraduate and graduate training at the Massachusetts Institute of Technology. His research interests concern human spatial orientation and movement control in unusual force conditions including weightless, high force, and artificial gravity environments. One feature of his work includes the recognition that exposure to non-terrestrial force environments helps reveal the nature of sensory-motor adaptation to the normal force background of earth. He is a member of the Center for Complex Systems and the Psychology Department at Brandeis, and is the Riklis Professor of Physiology. At Brandeis University he has developed and taught courses on human factors in spaceflight. 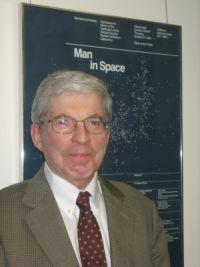 He has been Director of the Ashton Graybiel Spatial Orientation Laboratory at Brandeis University since its founding in 1982. Paul DiZio has worked in the Graybiel Laboratory since its founding in 1982. He received his graduate training there in experiment psychology and has been the Associate Director since 1986. In 1995, he became a faculty member in the Psychology Department and the Volen Center for Complex Systems at Brandeis University. His major research interests are control of human posture and movement, multisensory influences on spatial orientation, sensory localization, and sensory-motor adaptation. Experimental approaches to these problems involve unusual force environments, such as space flight and virtual environments as well as clinical conditions, such as labyrinthine loss, congenital blindness, peripheral neuropathy, cerebellar dysfunction, and autism spectrum disorders. These approaches are important both for illuminating basic neural mechanisms and for achieving solutions to practical problems. Janna Kaplan, MS, SIRIUS Astronaut Training Program Lead and Senior Scientist. Janna is Lecturer in Psychology and Senior Research Associate at Brandeis University's Graybiel Lab, specializing in Neuropsychology and Space Research. 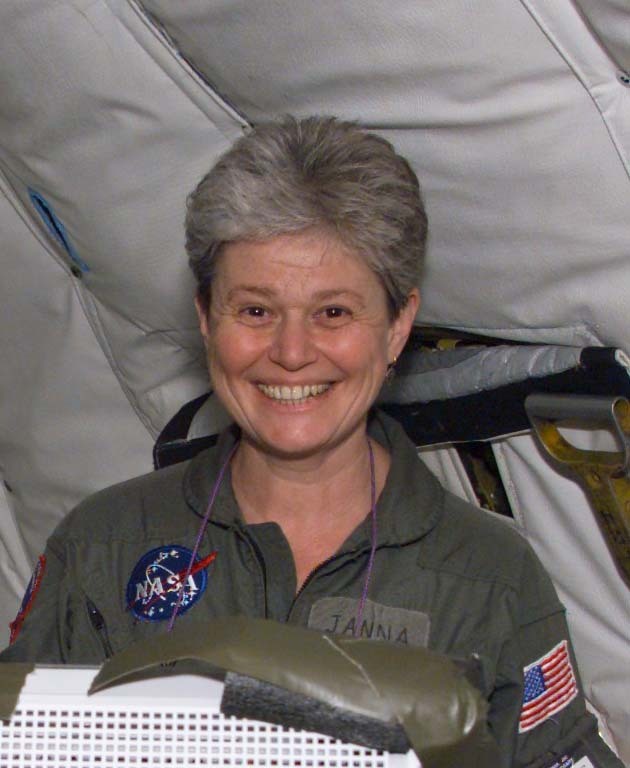 At Brandeis since 1983, she studies human adaptation to various conditions of space flight such as zero-G, high-G, G-force transitions, artificial gravity environments, spatial orientation/disorientation, and space motion sickness. In cooperation with the Graybiel Lab, and on the foundation of its research and facilities, Janna has developed this program for commercial and private payload and research astronaut training. The training protocol focuses on sensorimotor human factors of spaceflight such as motion sickness, spatial disorientation, spatial illusions, and movement errors in changing gravitoinertial force environments. Janna's undergraduate and graduate degrees are from the University of Leningrad (now St. Petersburg). Janna came to the US as a Jewish refugee from Russia (former Soviet Union) in 1982. She lives in Newton, MA with her husband Edward Kaplan, and two children, Aaron and Sima, both recent college graduates. You can email Janna at: janna.kaplan@siriusastronauttraining.com. Lee Picard is the Administrator of SIRIUS Astronaut Training. You can email Lee at: lee.picard@siriusastronauttraining.com. Joel Ventura is the lead training specialist at SIRIUS Astronaut Training, and a research scientist in the Graybiel lab. He helps design and set up equipment to run experiments, especially for the lab's 22 foot diameter Rotating Room and the Multiple Axis Rotation and Tilt (MART) device, among others. His research interests include spatial orientation and motion sickness. Joel received his undergraduate degree in physics from Carnegie Mellon University and his graduate degree in experimental psychology from Brandeis University. You can email Joel at: joel.ventura@siriusastronauttraining.com. Heather Panic is a training specialist at SIRIUS Astronaut Training, and a PhD graduate student in the Neuroscience program at Brandeis University. She received a BS in Computer Science from Louisiana Tech University and a BS in Psychology from the Open University (United Kingdom). Prior to attending Brandeis she worked as a research scientist for NATO, where she developed military training software. Her current research focuses on the sense of self-orientation during active and passive body tilt. Heather holds a PADI Advanced diving certification, a private pilot license, and is working on renewing her CPR and first aid certification. You can email Heather at: heather.panic@siriusastronauttraining.com. Sacha Panic is a training specialist at SIRIUS Astronaut Training, and a PhD graduate student in the Cognitive Neuroscience program at Brandeis University	After completing a Bachelor's degree in Computer Engineering in 1997, he went on to pursue a professional career as a software engineer. For over a decade he worked on educational software, digital video broadcasting applications, and internet applications. 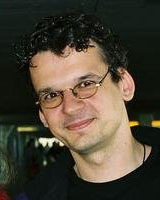 In 2010 he completed a Masters degree in Man Machine Interaction from the Delft University of Technology, with an Honors degree in human factors engineering. In 2011 he completed a Masters degree in Psychology at Brandeis University, working with Prof. DiZio and Prof. Lackner. He is interested in how the visual and vestibular systems interact to produce a sense of spatial orientation, and in human factors aspects of living and working in space. Sacha holds a PADI Advanced diving certification. You can email Sacha at: sacha.panic@siriusastronauttraining.com.